Up to 93 percent of Grauer's gorillas have disappeared in two decades. "Grauer's gorilla," a new report states bluntly, "is in crisis." Once numbering as many as 17,000 in the 1990s, only 3,800 are estimated to still be alive in the wild, a population devastated by the exotic animal trade, mining, and, most of all, civil unrest and war that began in the Democratic Republic of Congo 20 years ago, according to the report, released this week by the Wildlife Conservation Society. The largest gorilla species in the world, the animals may have been targeted, in fact, because of their size. Mining camps used to fund various factions in the war kill the gorillas for bushmeat; the larger the animal, the more mouths it can feed. This has had the predictable ill effects on the gorillas' population, which has decreased by up to 93 percent, according to the report. The damage has been particularly acute for Grauer's gorillas, also known as eastern lowland gorillas, since they live primarily in Congo. Some species of chimpanzees are also hunted, but chimps are found across Africa, making the overall effect on their survival less pronounced, according to the report. 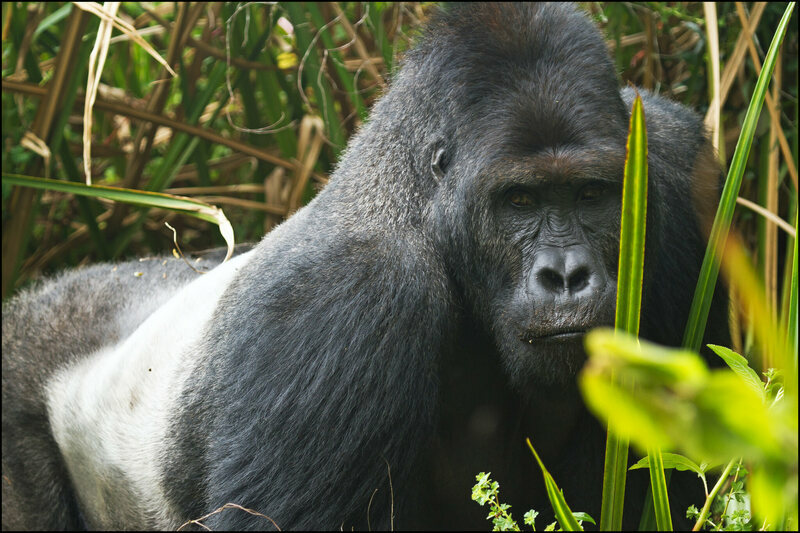 Congo has been getting more politically stable in recent years, though that may end up making things worse for Grauer's gorillas, since stabilization means increased development, likely to occur in the gorillas' habitat.